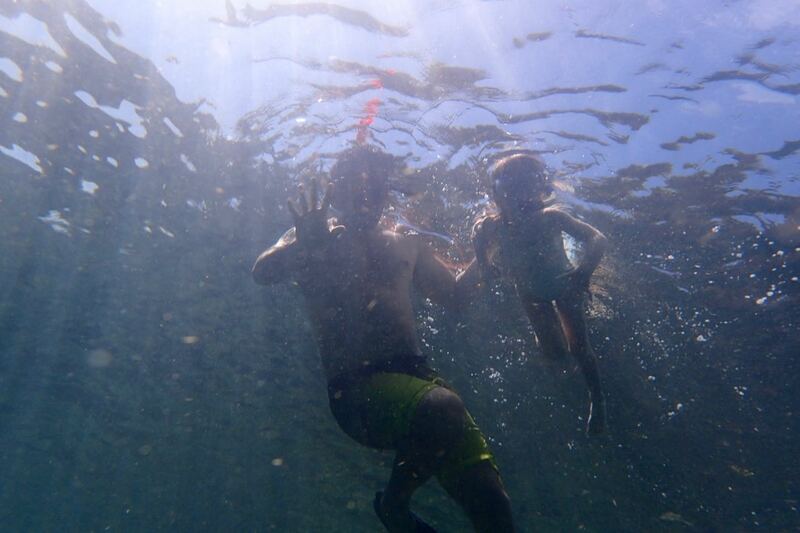 Last week I took my 5 year old niece, Mila (the Mermaid) snorkelling with her family. 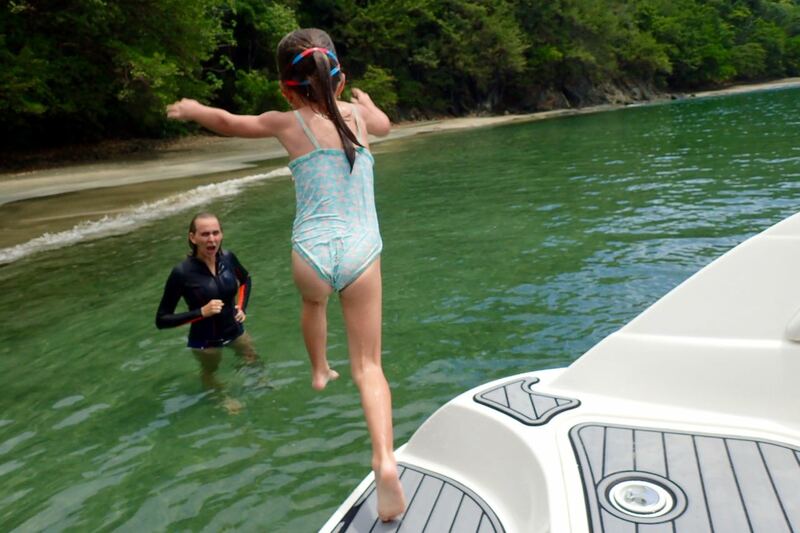 We started off exploring Buccoo beach while avoiding rain up the coast. 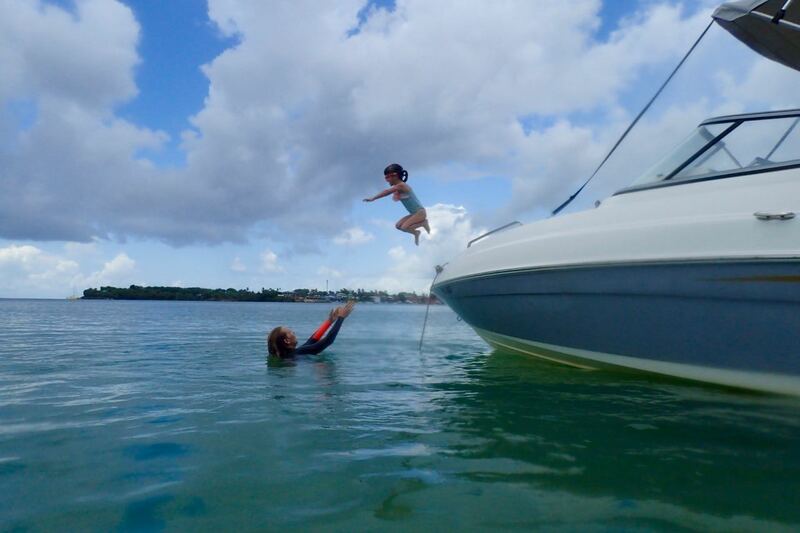 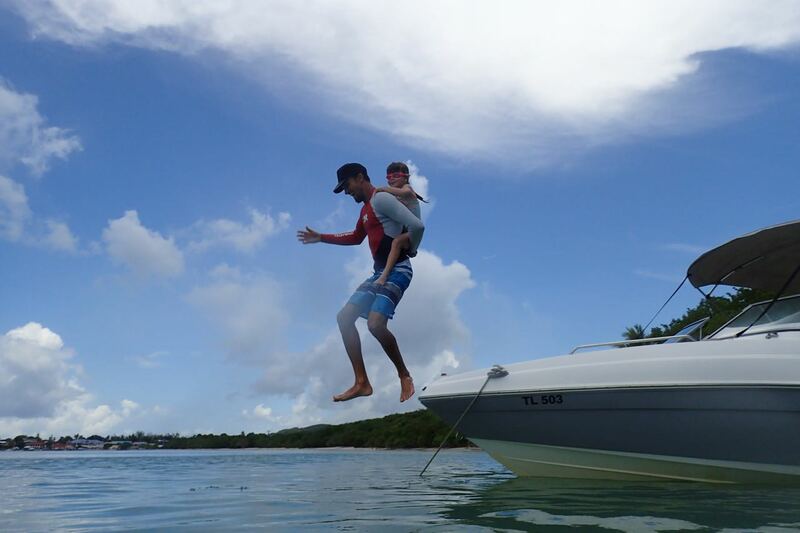 Mila showed off her boat jumping skills. 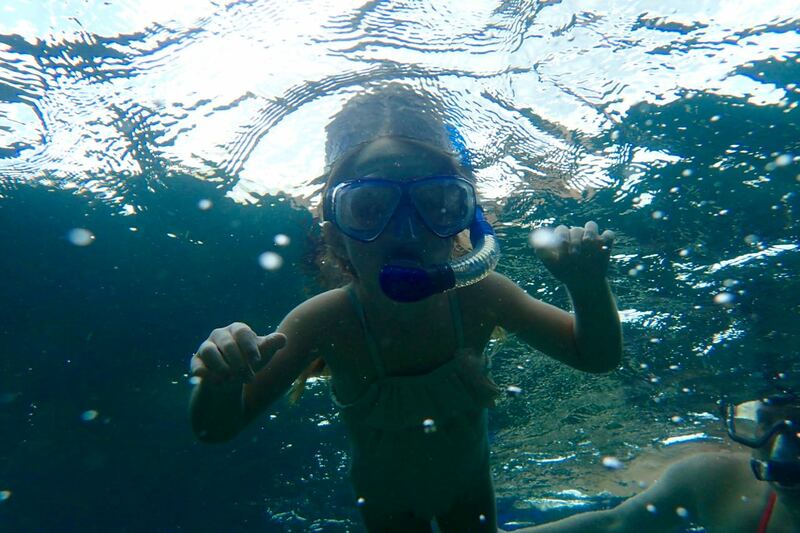 Then we decided to head up to Cotton Bay for a swim and snorkel, and let Mila give snorkelling a try. 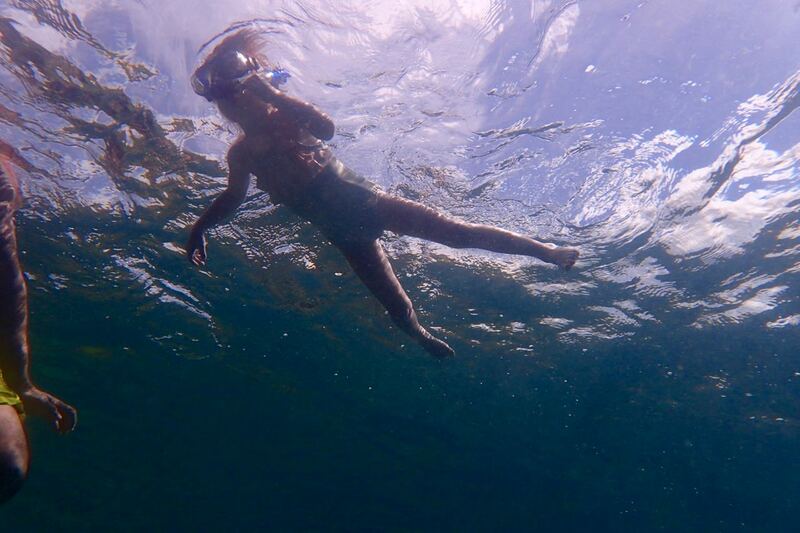 None of us thought she would be snorkelling on her own that day but boy were we wrong. 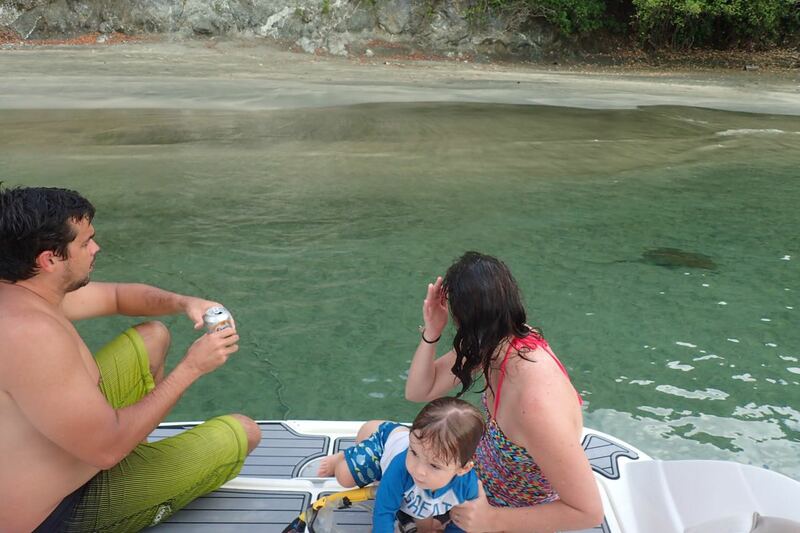 We had a southern Grey Stingray come and hang out with us. 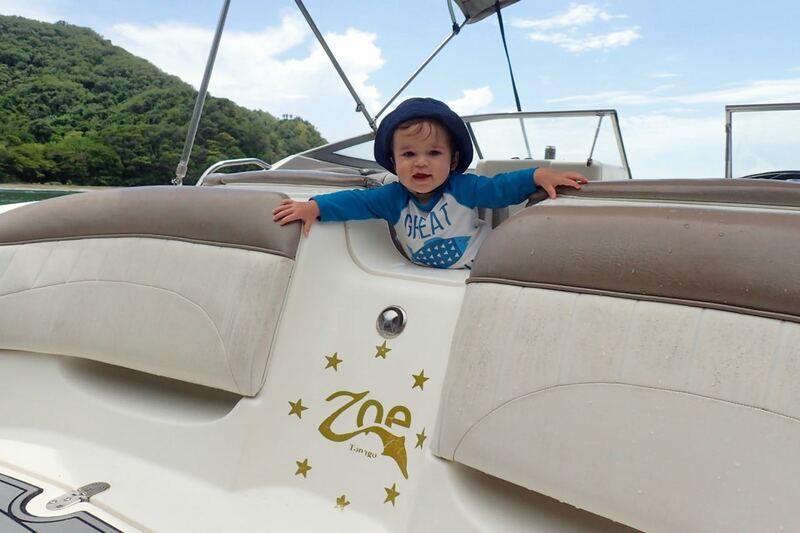 After a fantastic experience with Mila and hanging out with her 1 year old brother, Oliver who clearly likes boats, we headed back down the coast. 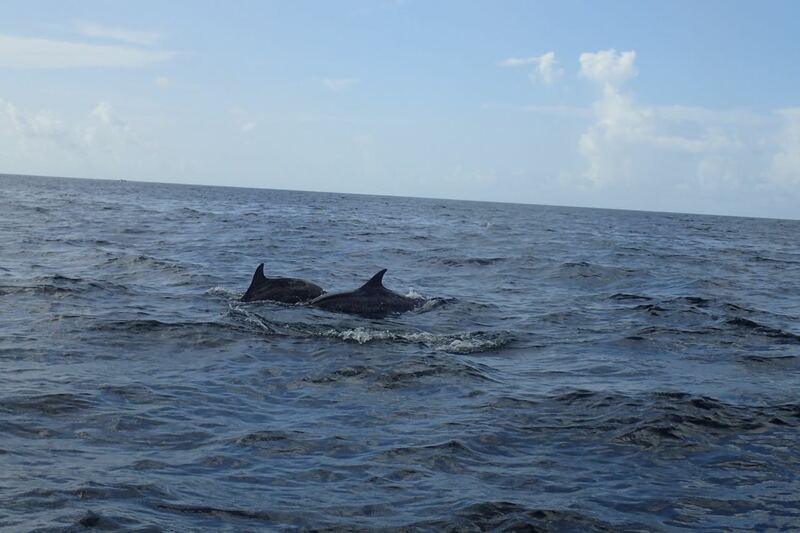 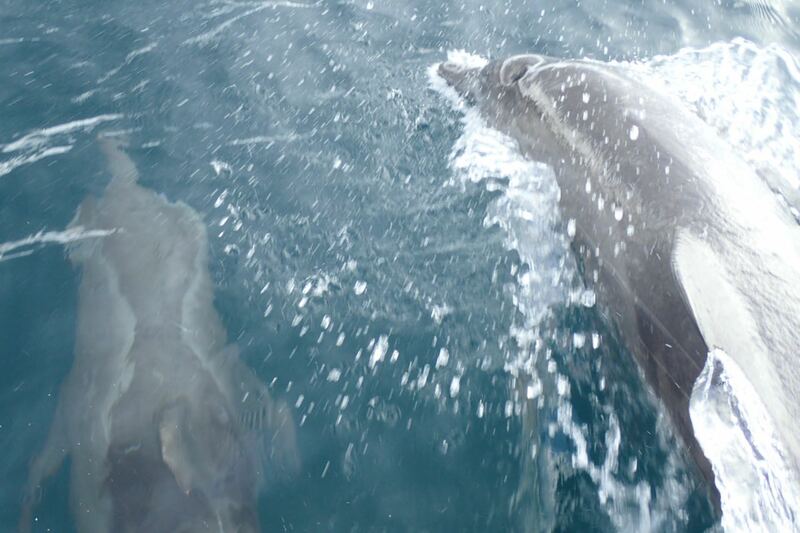 The fun was clearly not over because we ran into a large pod of dolphins and hung out with them for over an hour. 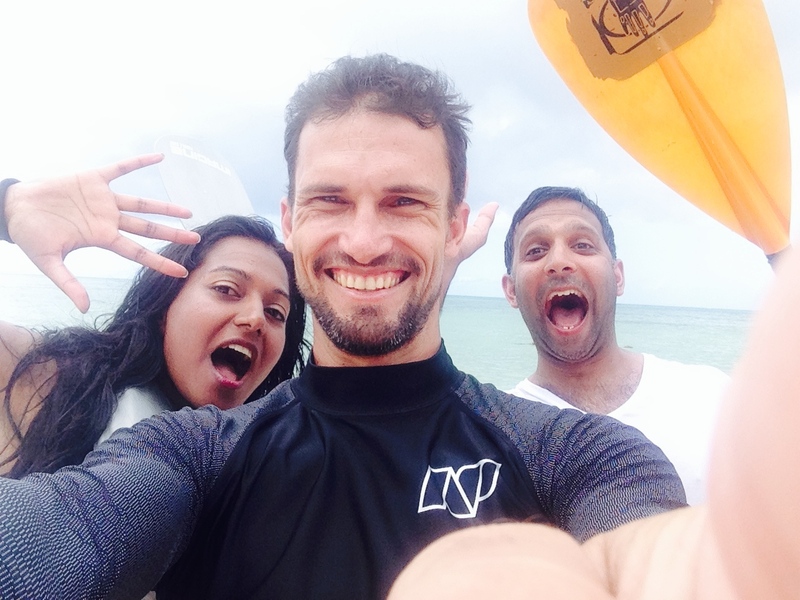 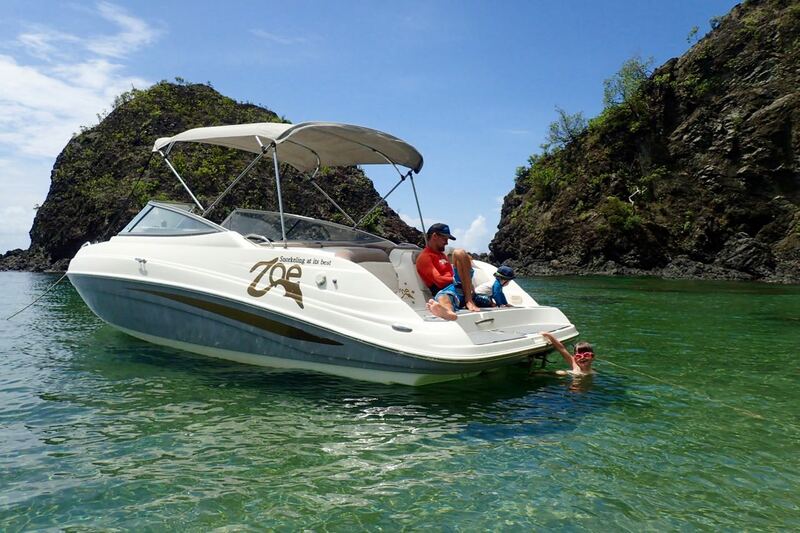 An amazing day on Zoe Snorkelling Tours.